A través de un comunicado de prensa, la empresa ATLUS ha hecho oficial el lanzamiento de Persona Q: Shadow of the Labyrinth para todo el continente americano, su llegada se tiene programada para otoño de este mismo año y llegará en exclusiva para la Nintendo 3DS. IRVINE, Calif. -- Feb. 25, 2014 -- I am thou. Thou art I. From the sea of our souls come new games in the Persona series. That's right, the time has come for the Velvet Room to open once again, so dust off those Social Links and keep an eye out for blue butterflies - ATLUS' acclaimed Persona series is returning to North America with completely new games for this year and beyond. "The Persona series is one of the most progressive, mature role playing game franchises in the world, and a cornerstone of what makes ATLUS a great video game company," said Naoto Hiraoka, president and CEO, Index Digital Media, Inc. "The latest ventures into the worlds of Persona 3 and 4 give new perspective and depth to some of gaming's most incredible characters, and the new games have a wide enough breadth to be enthralling for newcomers to the series." 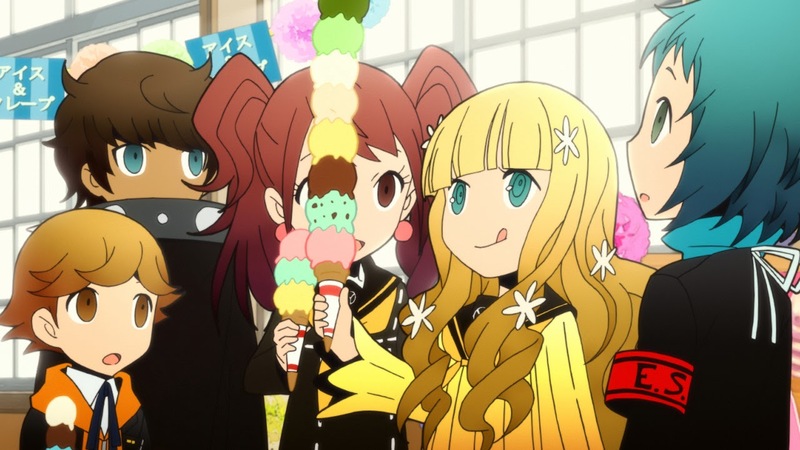 Persona Q: Shadow of the Labyrinth (Fall 2014) -- You got Persona in my Etrian! You got Etrian in my Persona! Well, you're right on both counts. Persona Q is a cross-over for the Nintendo 3DS™ system that brings Persona 3 and 4 characters to the gameplay style of Etrian Odyssey. It also marks the first time the Persona franchise will be available on a Nintendo system. Characters from Persona 3 and 4 have been given a complete visual overhaul to match the Etrian style and plunged into an alternate world resembling Yasogami High School. Legend has it that listening to the end of the bell chimes of Yasogami High's clock tower causes people to die, and this time the bell tolls for the Investigation Team and the SEES. Trapped in an other-world filled with Shadows, the protagonists from Persona 3 and Persona 4 each have different events to follow, allowing the player to choose and experience two different plotlines. As both groups seek a way out of the labyrinth, they will run in to two new characters, Rei and Zen, who may hold the secret to this new mystery.